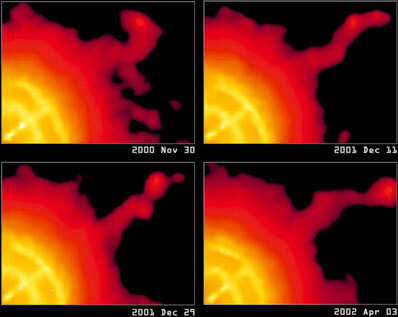 The Chandra images in this montage show the erratic variability of a jet of high energy particles that is associated with the Vela pulsar, a rotating neutron star. These images are part of a series of images made over a period of two and a half years. Credit: NASA/CXC/PSU/G.Pavlov et al.